So you want to sell on Amazon, and join the e-commerce revolution, awesome! However, just be warned… if you are going to jump into having Amazon fulfill and ship your own products, there are some real risks and fairly significant costs to get started. 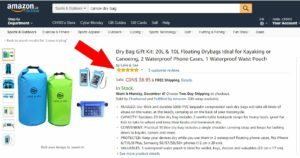 In my experience, Amazon FBA may in fact be best suited for those with at least some drop-shipping or e-commerce selling experience already. Many Asian manufactureres are also listing directly on Amazon now (some say as many as half the larger sellers), and so margins are being squeezed on many high turnover products. If you are expecting 50% to 100% margins, think again… 20% to 30% is average these days. And, if you do list a product, know that with Amazon, you don’t own your product listing, and others can come along and undercut your price in order to win the coveted “Buy Box” (the default product that gets purchased when someone hits “Add to Cart” button). If you are still game to learn more and have a bit of cash to invest, below is a quick and very high-level primer of the basic steps to get started. To illustrate, I’m using an actual live drybag kit product that I ordered from China and imported into Canada. I’ll make basic assumptions that you are also wanting to order from China to Canada as I did using Amazon FBA (Fullfillment By Amazon) for the sake of simplicity, but the same idea could be applied for importing to the US or elsewhere. But before you start, here are 3 things you will need;. Patience, since Amazon’s Sellers Center is not exactly intuitive, so stick with it and read their guides! TIP: Bundling a few smaller products with a larger one like in the drybag kit allows you to add perceived value to your products, and differentiate yourself from the competition. It also allows you to increase your margin, and provide the ability to do more paid advertising via Amazon, Facebook etc. Step 2: Run The Numbers! So for the purposes of simplicity, I’m going to assume you do like most and use Alibaba.com to source items from Asia. Here are some things to consider when talking to a manufacturer. Be sure they are Gold Suppliers and provide Trade Assurance. Google this if you don’t know what it means. This is a very important step to ensure that you get a quality item that meets your expectations, and your customers. Yes, paying for a sample may cost you $50 to $100 Cdn after shipping, but it is worth it. It also builds trust with your supplier and shows that you are serious about selling, and not a tire kicker! The other reason you will want a sample is for taking photos of your own. Those will include shots which will have a white background (most image editors have a “magic wand” tool or similar to allow you to highlight and delete background colour. Also, once you see a sample, you may ask for minor modifications to the product to make it unique. Just know that you will need to order a MOQ for logoing and modifications, since this requires more time/effort by the manufacturer and they need to make sure it is worth it for them. Typically manufacturers require 30% down as a deposit to start production. Then, once production is complete, they will ask for the remaining 70% and then ship the product. Be sure to use Trade Assurance when ordering via Alibaba, since this gives you the ability to be refunded if your order criteria are not met. Though, if you go with a manufacturer that has been in business for over 5 years, is a Gold supplier, and a 80% response rate, chances are you will be OK. You may also want to use Paypal for ordering samples or smaller orders since they provide very good buyer insurance. Buying UPC (Universal Product Codes) codes which are required by Amazon for each SKU (individual item) and to set up ASIN (Amazon Seller Identification Numbers). You can buy them at http://www.gs1ca.org or other 3rd party vendors. Once you have set up your UPC/ASINs, you should setup your product listings in the Sellers Central area menu “Inventory”. Click on “Manage FBA Inventory” here and create your product listings, upload photos, add keywords. This is very important to do properly, so go to Youtube or the Amazon Help area if you are stuck. You will need to send your supplier 2 kinds of labels: individual product labels, and carton/box labels. Before you can generate those, you will need to go to Inventory / Manage FBA Shipments and create first product labels. Be sure to read up more on special warnings that also need to be applied to polybagged items for “Choking Warnings” or specific product warnings depending on the category. TIP: Your listings will appear “Inactive” until you receive inventory shipments. You can always see what they will look live by going to the Inventory menu, checking the box next to your product, and switching the Action pull-down menu for your product to “Fulfilled by Merchant” vs “Fulfilled by Amazon”. This will make your product “live” and orders will need to be fulfilled by you, vs via Amazon FBA. It is absolutely critical that you start to generate reviews as soon as possible on your listings. It is possible to contact customers after they order through the Amazon Sellers area. The best approach is to follow up on delivery of your products, ask if any questions and then ask for a review once received. You do however have to be careful to avoid any form of incentivization of reviews, which Amazon strictly forbids. Note, if you give 25% or more coupon discounts to customers, Amazon may nullify any reviews. Many other tactics are available to do this via JumpSend and other 3rd party e-mail vendors. Once your listings are live, there are many things to do on a daily or at least weekly basis. Firstly, although Amazon does manage custom service requests, often customers will ask questions relating to your product, which you must respond to. There are also items such as managing your pay-per-click Campaign promotions on Amazon, where after 2 weeks of Automatic keyword bidding, it is best to switch to manual bidding where you get more control over continuing and pricing your highest converting keywords. A common pricing strategy is also to price very close to your net cost for the first week or two to help boost your best sellers rank (BSR). You also need to manage reordering to avoid going out of stock, and managing any refunds for quality control issues. 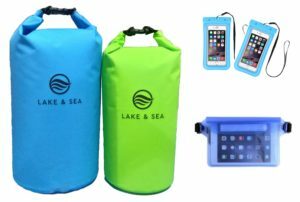 Also, testing different product categories for your listing is helpful to see if drybags sell better in the kayak or canoe categories for example. You can also request bank transfer disbursements from Amazon in order to get paid for your confirmed/delivered sales orders. Sign up to our newsletter to access the rest of this content and get tips and strategies on e-commerce, e-mail marketing, product and software sales. With over 17 years of online marketing experience, I have learned the right tools, software and tactics for maximizing your software sales, getting started in e-commerce or importing using Amazon FBA. I recommend traffic sources for leads and e-commerce sales as well as WordPress plugins, software and tricks to get noticed. 1) Why Are You Selling Anyway? In my opinion, how you answer this very common question can make or break the sale of your business. Think it through beforehand, and be honest. If there is increasing competition in your niche, and you’ve run out of marketing ideas, just say that to new potential buyers. Maybe you just have lost passion to keep going, or you are looking to start a new business in another niche. Misleading potential buyers will only have them lose trust and also could give you a poor review online somewhere for future. If you just want a change and are moving onto a new business, then great, that is a valid and good reason to sell. Just disclose your intentions so the new buyer also knows that you will not compete with them in the future. You may need to add that to your sale agreement too. 2) What Exactly Are You Really Selling? So I thought I was just selling my software business.. WordPress plugins. Pretty straightforward to me. But as it turned out, what I was really selling was not just software, but WordPress support. And further to that, it turns out that once potential buyers learned that I had over 2,000 clients, many of whom were Fortune 1000 companies over the past 5 years, they were most interested in my client list. You know, as every self-proclaimed marketing “guru” will tell you, “the money is in the list”. Well, it’s kinda true and my prospective buyers wanted my list. My point here is that what you perceive to be of value in your business may not be what the buyer values. Again, don’t sell the product, sell the “sizzle”… cheesy, but true. OK, so if you are going to sell your business in the future, the first thing you must do, if not done already, is to enable Google Analytics. This is the most trusted and reliable way to verify your traffic claims for a prospective buyer. The key metric a buyer wants is unique user visits per month. And they want to see that having an upward trend. Not only that, they want to see a good mix of organic (free) traffic and paid traffic. Being over 50% organic is where you want to be. After 5 years in business and some smart SEO (Search Engine Optimization), if I do say so myself (Yoast WP Plugin, lots of YouTube demos etc), I was established in my targeted long-tail (niche multiple word phrases) keyword phrases… Actually #1 in the most relevant one. Bonus points for me! 🙂 But it took awhile… So, the other great thing about Google Analytics is that you can share your account safely with buyers via a user permissions setting. OK, time to get down to brass tacks… Net earnings per month is the next key buyer trigger point. Traffic is great, but how it is being monetized is the real nuts and bolts of a business. Most software businesses have some revenue, then expenses that include paid ads, contract labour (coders) and then hosting in that order (biggest to smallest). If you have over 50% organic traffic and can turn off the paid ads, your net earnings can continue at a fairly stable rate… at least until Google scrambles their algorithm again. If you are using Google Adwords or Facebook Ads (which I’m hoping you are to some extent), then you should also be willing to sell your keywords/ad group information and learnings with the sale. This will let the buyer hit the ground running and know what ads worked best. Google Adwords let’s you export all this data easily into a CSV for example. New buyers are looking for other ways to monetize your software or website. It’s always a good idea to have other ideas on how they could create these revenue streams, and what kind of offers or affiliate programs already work well with your business. My business was WordPress plugins, and often clients were looking for advice on where to host their sites, and also what recommend themes to use, such as Divi Builder, which is super easy to use and the world’s most popular theme right now. I suggested affiliate programs for both of those, as well as WordPress backup plugins that I know my clients asked me about also. Your unique users per month data from Google Analytics can mean an affiliate stream of income for extra revenue for your buyers, so it’s a good idea to help them out with suggestions. Share A Sale is the Granddaddy of affiliate programs that has been around for 17 years and has over 4,000 merchant offers available. You can search their site for ideas. Your churn what now? What does butter have to do with selling your business? Well, this is really typically the rate of how many customers per year you lose. You should know this about your business since it is an indication on how much the new buyer will have to spend on acquiring new customers. It’s also good to know the average lifespan of a customer (sometimes called retention rate), in terms of years. If you need to spend $200 to acquire each new customer, and make $100 per year from each one, then your churn rate better be less than 50% in order to break even. So let’s assume your business may make, say $40,000 net earnings (profit) after revenue and expenses (hosting, ads etc). In my experience, your business will be worth somewhere between 1 and 2 years earnings depending on the niche. It could be more or less depending on assets, and the size and quality of your customer list as well. My suggestion is to get a 3rd party to appraise this value, and any decent business broker or website in this business should offer this for free. Don’t be greedy though… it’s better to get more buyers interested at a lower rate, and have them bid up the price than have no takers at a much higher price. So, I used these guys to flip my business. They are a business auction site with a huge amount of traffic and exposure internationally to business buyers. They also offer an appraisal service which is very helpful, and I often quoted the value they gave me to prospective buyers. They have a great Dashboard where you post all the details of your business, and provide an API key for your Google Analytics so that your last year of traffic can be displayed in real-time to clients. Bear in mind that it is important to ensure that you provide all revenues and expense also over the past year, and a proof of revenue. This typically means you will need to create a screencast video of your Paypal or Stripe account showing various details on transactions (and you logging in). You set a reserve price, which should be 10% to 20% below your appraised value. They have ways to prevent “sniping” in an auction, which is where they extend the auction by 10 to 15 minutes between bids so nobody and win the auction by a dollar in the last few seconds. You can choose a basic listing plan or an auction, and pay various listing fees from $29 for a basic listing package to $300 or so for promoting your site more prominently and in their internal buyer newsletter to 200,000 emails. If you want to sell fast, a likely for a higher price, I suggest the auction and paying the higher full listing package (if your business is $10K or more, it will be well worth it). Once your listing is approved (it may take a week or so), you then set a reserve price, which should be 10% to 20% below your appraised value. They have ways to prevent “sniping” in an auction, which is where they extend the auction by 10 to 15 minutes between bids so nobody can sneak in and win the auction by a dollar in the last few seconds. How it works is that you set a reserve price, which should be 10% to 20% below your appraised value. You also set the duration of the auction (I went for 14 days which is enough time to attract new buyers, and answer questions in the comments of my listing but not too much time to lose momentum of the sale). They have ways to prevent “sniping” in an auction, which is where they extend the auction by 10 to 15 minutes between bids so nobody and win the auction by a dollar in the last few seconds. This nuts and bolts of making the transaction is critical. Be clear on how longer after the sale you are willing to offer support. Be sure to define what exactly “support” means, and a maximum on hours or days you are willing to commit to. Be sure also to clarify what assets are to be sold, such as your domain, MySQL database, website files, custom list, youtube/facebook acocunts and so on. Put this all in writing and use a proper legal agreement like I used here for your industry.